The War Machine DLC pack is the second multiplayer DLC for Call of Duty: WWII. 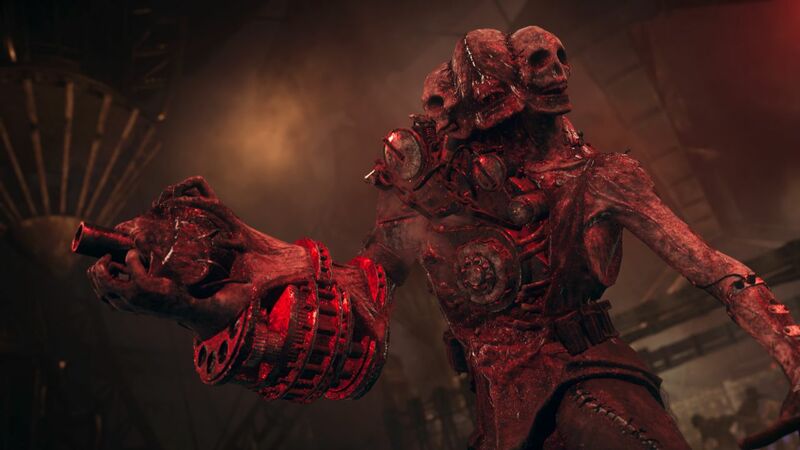 Released in April for PS4 and last month for PC and Xbox One (hooray platform exclusivity), it adds three new multiplayer maps, a War Mode map, and the Nazi Zombies chapter The Shadowed Throne. It’s slightly more miss than hit, but the one standout map and Zombies chapter are enjoyable enough. That standout map is Egypt. It’s a complex arena, with wide desert fields interspersed with columns and trenches that really open up your tactical toolset. These encircle a central pyramid, focusing action into a tight varied arena with multiple entrances and exits. It’s a similar design philosophy to Gustav, but with the central feature being enclosed instead of open, and it reminds me of some of the better Quake and Unreal Tournament maps. Fast paced varied action makes Egypt a joy to play on, and the lively yellow colour scheme really helps liven things up compared to other maps’ grey-green palettes. 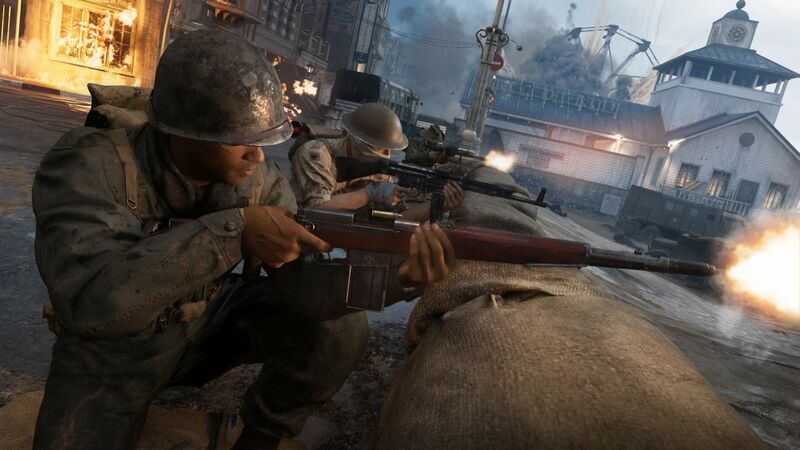 The remaining two maps – V2 and Dunkirk – sit squarely in the very large mediocre tier of CoD WWII maps. I probably prefer Dunkirk slightly. 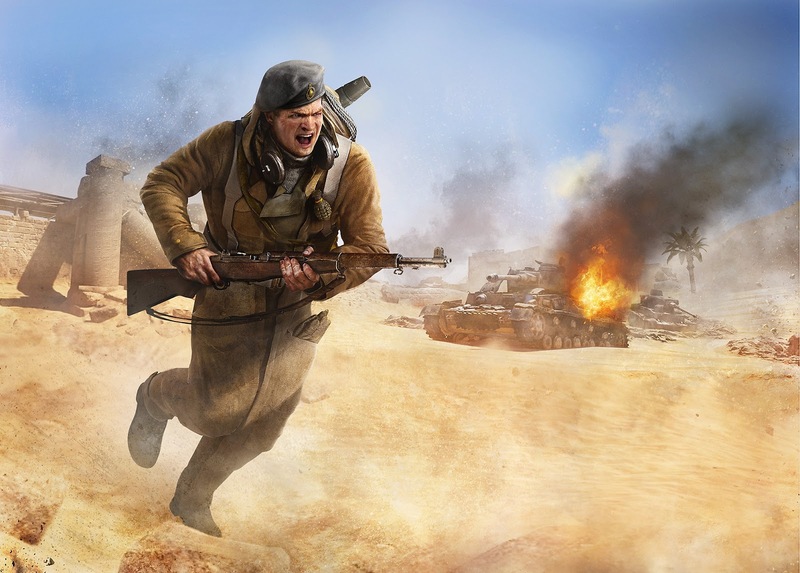 Consisting of two medium length paths – one relatively open and the other through buildings – along a beachside town, it allows for long distance engagement, close quarters skirmishes, and interesting ambush and flanking options. In theory. In practice, the building route attracts shotgunners and the open route draws in snipers, and rarely the twain shall meet. It’s interesting to look at, but, depending on your lobby roster, can be very bland to play. V2 is essentially Cargo from Black Ops 2, with some additional rooms around the wings. The central rocket does act like a beacon for play, but most of the heavy fighting happens around the tower. It’s not a bad map, but it does feel very familiar and doesn’t offer anything new or interesting. 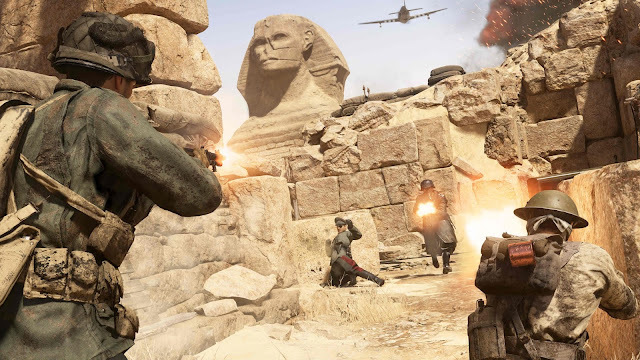 The new War Mission map is Operation Husky, and it’s the worst of the bunch. The first objective, which tasks attackers with recovering pieces of intel from a mid-sized, relatively intricate building, is great. A number of stealthy approaches as well as open head on attack paths make taking and returning the three flags an advanced class in tactical play for both sides. The next objective, which involves taking another building, is par for the course, relying on the typical base attack/defence scenario already available in existing maps. If the map ended here, it would be good. However, it doesn’t end here. The third and final objective in Husky is an aerial dogfight. Remember that fighter plane mission from the campaign? Add multiplayer. It’s that bad. A tiny sky, atrocious controls, and zero option for player loadout choice means the final objective languishes in a torpid melange of repetitive circling and confused spiralling. I loathe this final third of what could have been an interesting new map with a depth reserved for MW ‘nade spam and bad English dubs. The Shadowed Throne is the Nazi Zombie chapter addition, and it’s pretty interesting. A relatively small map, it is however packed with small details that keep it engaging to look at. There are some genuinely interesting puzzles in this mode, although once you work them out the first time it does lose some of its shine – like most puzzles really. There’s a new special weapon too – the Wunderbuss. It’s sort of a wide spread lightning gun that is great for taking down a large horde of zombies, charged by its secondary fire: a dart that drains energy from the undead. This fun gun can clear house, but keeping it charged can be a pain. There’s also a new zombie type here, but it’s essentially just an uninspired faster and tougher normal zombie that glows red, and that gets forgettable really quick. Which kind of sums up the entire War Machine experience. A flash or two of brilliance, weighed down into the vast lake of mediocrity by a few boring decisions and one downright clunker. It also makes the fundamental DLC mistake of further fracturing the already waned online scene (population dipping below 3 000 concurrent players on PC according to steamcharts), splitting the fanbase into the haves and the have nots and ensuring even smaller rotation for the new maps. Which really means you have to decide whether the one great map is worth the general mediocre filler and the probability that you’re buying into a dying product. Your choice.